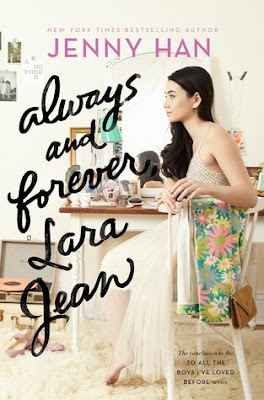 Always and Forever, Lara Jean is the third and final installment of the n=now trilogy (?) To all the boys I've loved before!!! So this series was supposed to be a duology but Jenny Han decided that she wanted to write another book about Lara jean so here we are! This book was unexpected but I was still thoroughly excited since I loved the last two books. And now that I've read it..I find myself surprisingly underwhelmed. See, contemporary books are contemporary books for a reason. When an author decides to add more to a contemporary world, it usually doesn't go well because there aren't enough elements in the setting of the book for the author to expand. That was pretty much the situation with this book. This book was just so...boring. There was no plot, and sure, Peter and Lara Jean were all cute and fluffy and everything, but even that wasn't enough for my attention span to not wander. I definitely recommend the first two books...trust me, they're great. This one??? Read it if you want to...you probably won't hate it. I won't either. But this book is so boring and bland compared to the first two, I can almost ensure you that you will be disappointed. I rate this book a 3/5 stars. I'm kind of sad that I didn't like this book so much but still, and again I would definitely recommend the first two books if you haven't read them yet!